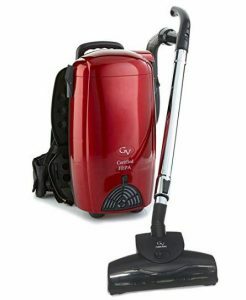 When it comes to clean your home/office, you definitely need the best equipment. However, most people are not experts when it comes to technical appliances. More often than not, you find someone buying an equipment, only to return it the next day. Why is it so? Because most people just buy things based on a few things like pricing, and how many reviews an item has. That’s where we come in. After realizing that there is a knowledge gap in most home appliance consumers, we decided to bridge it. Not only will we be giving our readers extensive reviews of vacuums from specific brands like Dyson, but you will also get an extensive buying guide of all kinds of vacuums. Of course, you need to know what to consider before buying one. On the other hand, you may have the knowledge of how vacuums work. However, you may simply lack the time; the time to sift through thousands of products and their reviews before making up your mind. We save you the headache by researching and shortlisting the top vacuums in each category for you. That way, your decision becomes way easier. We also invite anyone who thinks that a particular review or buying guide needs to include a particular product. If you have the conviction that one of your favorite vacuums has been “wrongly” excluded, just let us know in the comments section of the particular article. In case of any query, compliment, complaint or any other matter (e.g. if you’d like to guest post), just send an email to us and we will get back to you as soon as possible.